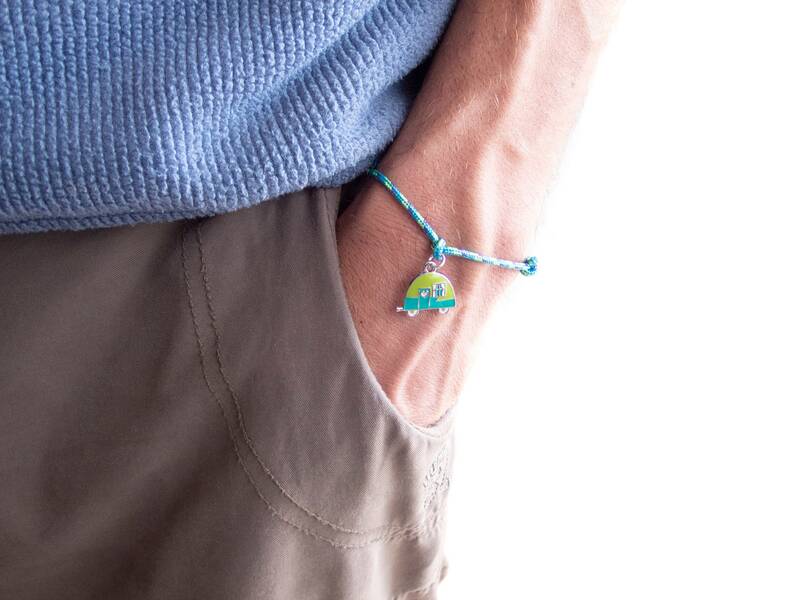 We handmade this travel bracelet men's and women's suitable. 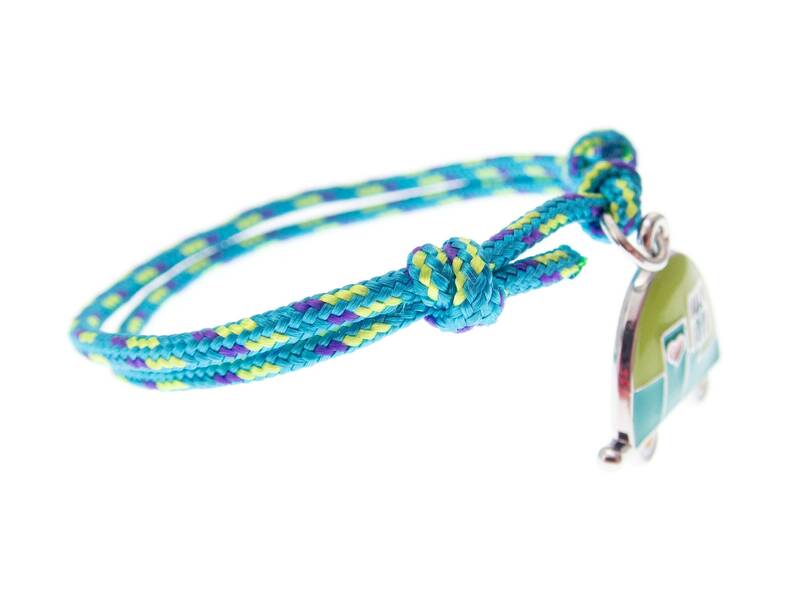 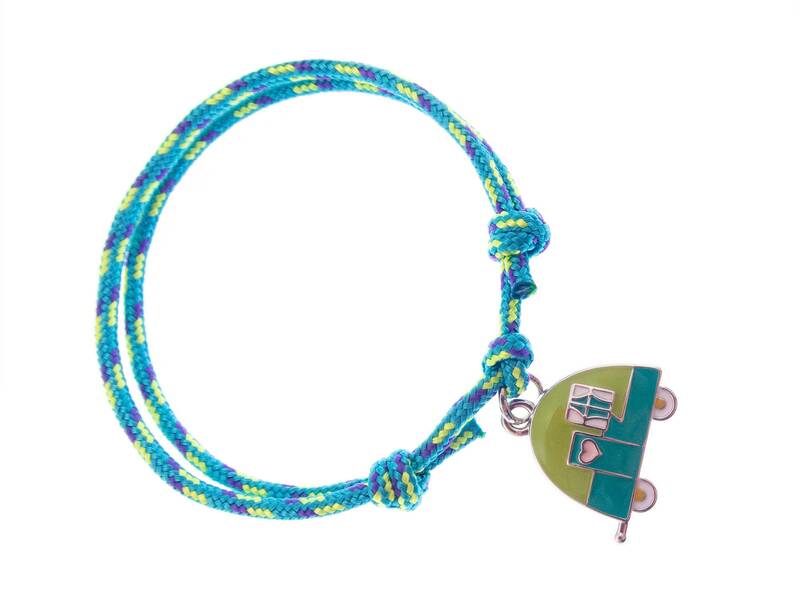 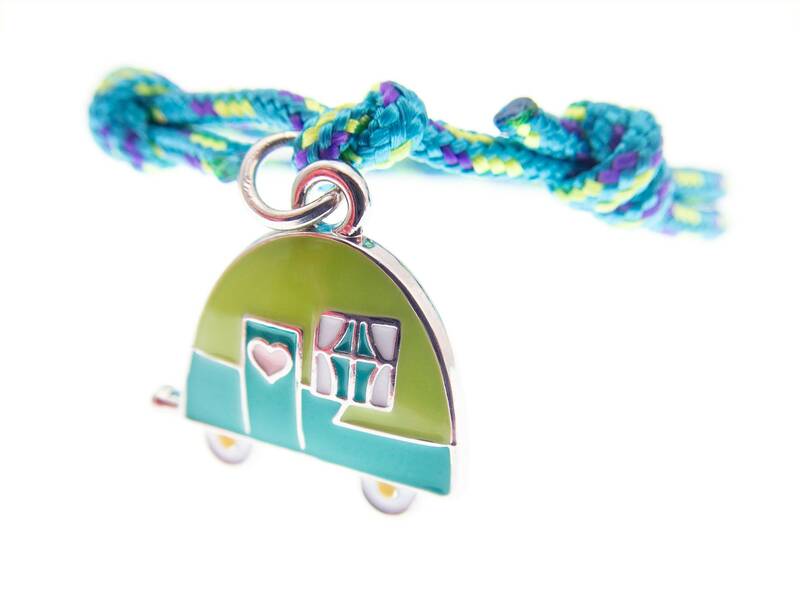 It is designed as travel charm bracelet of rope and caravan charm. 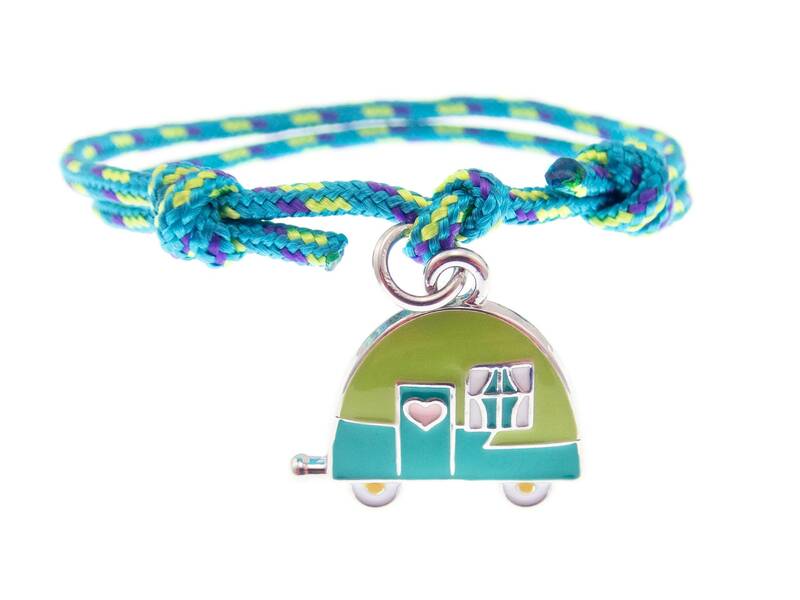 If you are looking for a travel destination bracelet, that is nice for friendship travel gift bracelet, you just found it. 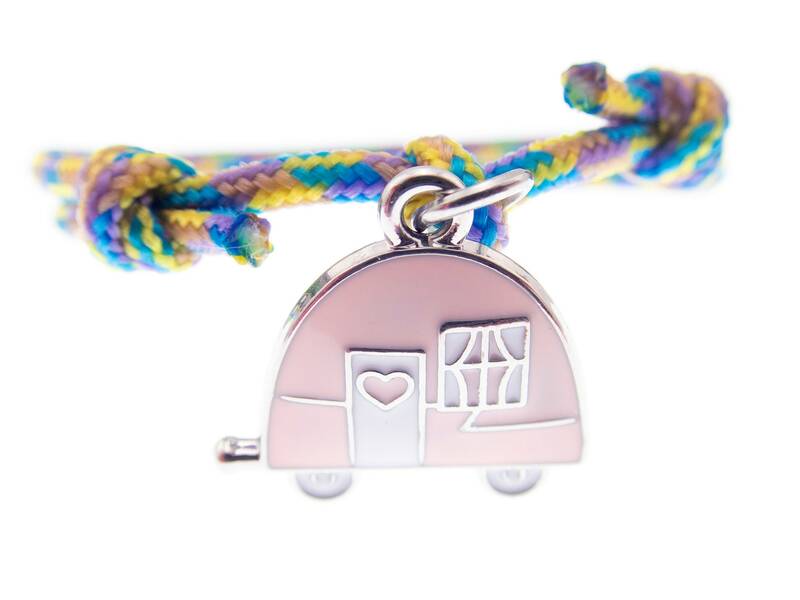 This unisex jewelry is nice gift idea for your friend, who loves camping, van life, caravan or camper journeys and for everyone who dreams to leave its job and start travelling. 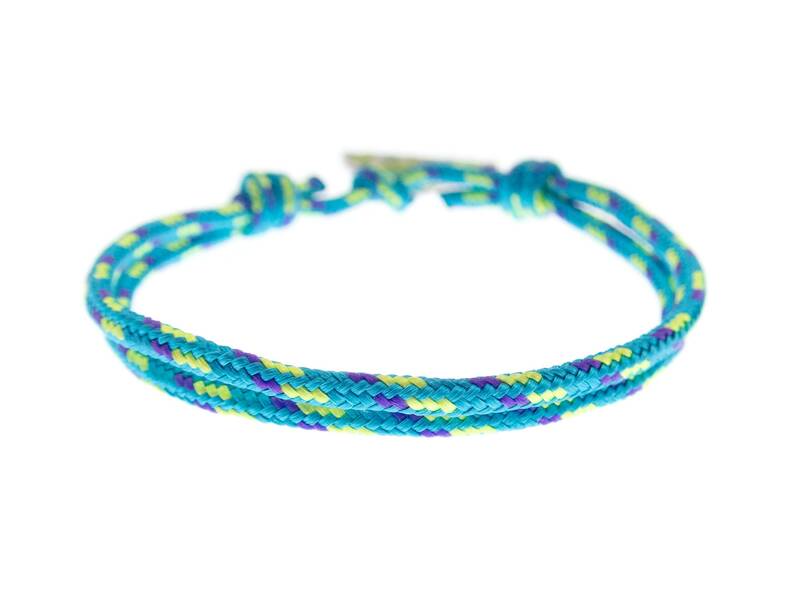 We handmade this travel bracelet of tiny 2 mm (1/16 inches) climbing rope with adjustment knots. 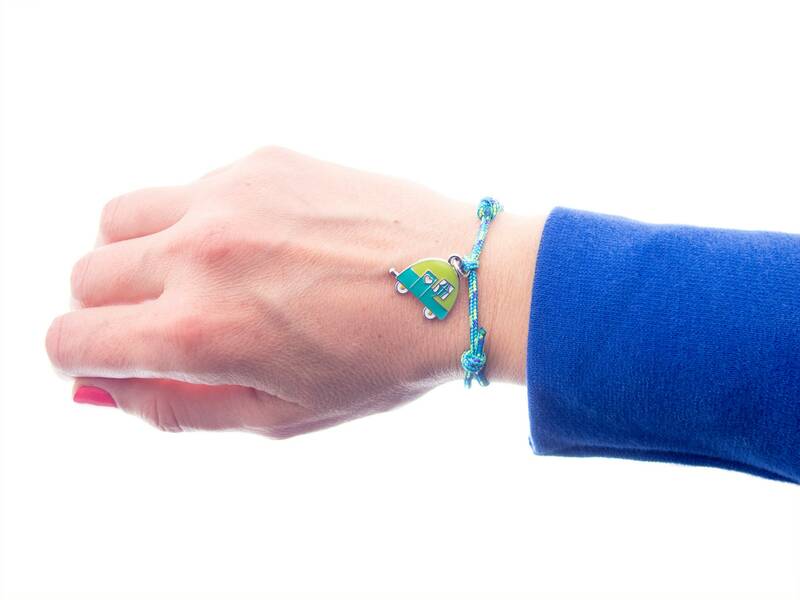 When you slide the knots you will adjust the perimeter of the bracelet. 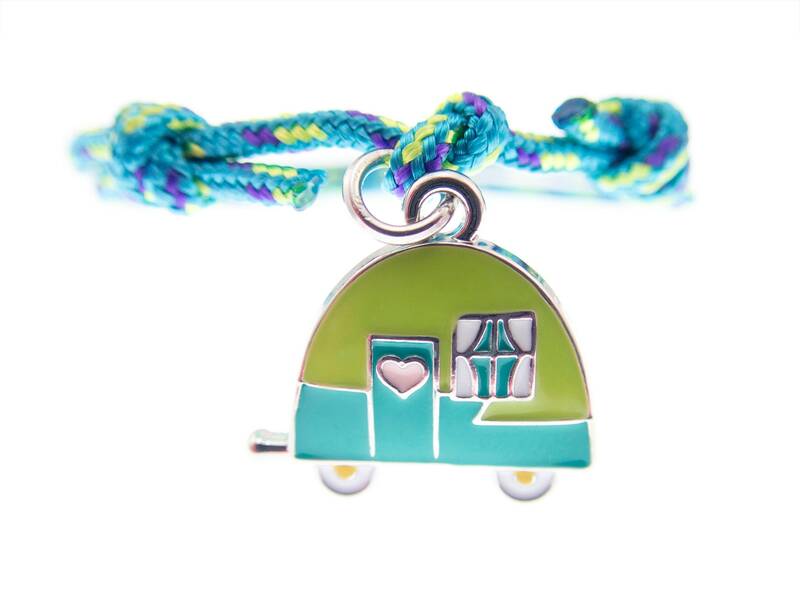 A nice detailed enamel caravan charm in green and turquoise blue is used for an accent. 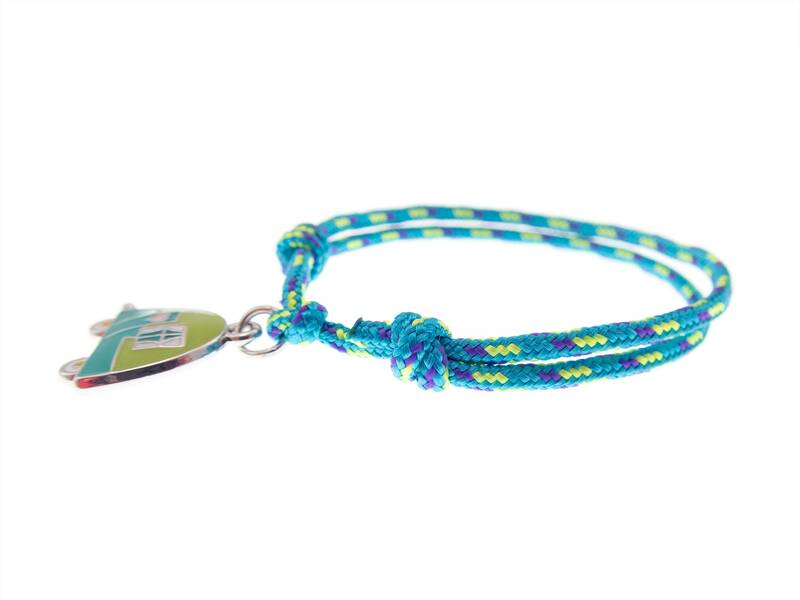 This travel bracelet mens / women's can be purchased gift wrapped.